All of the 311 Jarvis Open Bar Series programs and all of the North Toronto Family Court Education Committee programs qualify for substantive hours. That is, if the program does not get specific Professionalism Hours, then the 1.5 hours for each program can be applied towards the 9 Substantive Hours of Continuing Professional Development (CPD) required by the Law Society of Upper Canada. Please note that, at the time of posting, Professionalism hours may not yet have been approved. Check back regularly for updates to Professionalism accreditation. "What to do when you are dealing with LawPro and the Law Society: Important Practice Issues"
This program may be claimed for 1.5 Professional hours toward total CPD requirements. "Family Law & Child Protection Issues Related to Youth"
This program may be claimed for 1.0 Substantive hour and 0.5 Professionalism hours toward total CPD requirements. "Effective Advocacy in Conferences: Domestic and Child Protection Cases"
This program may be claimed for 1.5 Professionalism hours toward total CPD requirements. "The CYFSA in Action: How will the New Act change the way we practice Child Protection Law"
This program may be claimed for 1.25 Substantive hours and 15 minutes of Professionalism hours toward total CPD requirements. "Rules Aren't Made to be Broken: Using Family Law Rules Properly and Creatively for Effective Advocacy"
This program may be claimed for 1.0 Substantive hours and 0.5 Professionalism hours toward total CPD requirements. "Documents, Records, and Past Parenting"
This program may be claimed for 1.5 Substantive hours and 15 minutes of Professionalism hours toward total CPD requirements. "Surviving in Family Law: Tools and Tips to Thrive in your Practice"
This program may be claimed for 1.5 Professionalism hours toward total CPD. "The Pursuit of Reconciliation in Indigenous Child Protection Law"
This program may be claimed for 1.0 Substantive and 0.5 Professionalism hours toward total CPD requirements. "Motions to Vary, Reviews and Retroactivity"
"Help! The CFSA is about to change, learning about those changes"
This program may be claimed for 1.5 Substantive hours toward total CPD requirements. "Family and Child Protection Law and the Charter"
This program may be claimed for 9.0 Substantive and 3.0 Professionalism hours toward total CPD requirements. "We Gotta Get Out of This Place! Topics in Mobility: Relocation & Extra Provincial Custody and Access Issues"
"The Year in Review: Top Family and Child Protection Cases of 2016-2017"
"IT"S TIME TO FOCUS: Focused Hearings"
This program may be claimed for 0.5 Professionalism hours and 1.0 Substantive hours toward total CPD requirements. "Litigants with Mental Health Issues"
This program may be claimed for 1.0 Professionalism hours and 0.5 Substantive hours toward total CPD requirements. "Call to Action: Applying Gladue in Youth and Child Protection Cases"
This program may be claimed for 0.5 Professionalism hours toward total CPD requirements. Programs that are not yet accredited for Professionalism hours or for the New Member Requirement but which you can claim towards your Substantive Hours requirement. "Effective Use of the Family Law Rules"
Please check back for Professionalism and Substantive hours which can be claimed for this event. "Adolescent/Youth Issues in Family Law"
"How to Survive in Family Law - Dealing with Clients; Judges; Your Practice; and Your Personal Health"
"Rule 15 Motions to Change"
"Introduction to the Child, Youth and Family Services Act, 2017"
"Charter Challenges and Issues in Family Law"
"Topics in Mobility: Mobility and Extra Provincial Custody and Access Issues"
"Stress, Burnout and Wellness in Family Law"
"Bill 89: Child, Youth and Family Services Act, 2017"
This program has received LawPro approval. Please check back for Professionalism and Substantive hours which can be claimed for this event. 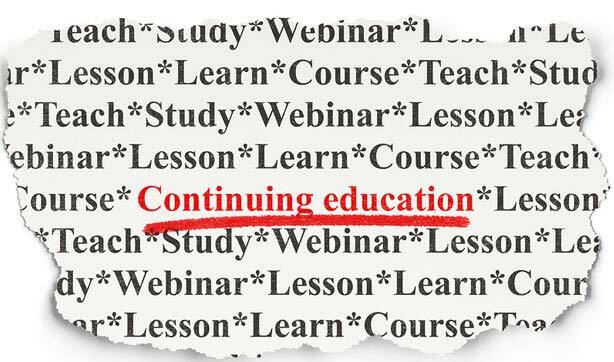 This program may be claimed for 1 hour and 15 minutes Substantive content toward total CPD requirements. This program may be claimed for 1.5 Substantive hours toward total CPD requirements. Please check back regularly for updates to Professionalism accreditation. "Professor Thompson on the Law of Expert Evidence"
"Motions: What You Need To Know"
Professionalism Program/Content replaces Accredited Program – LSUC and Accredited Program – Other Provider. Now all professionalism programs can be searched in one place. Substantive Program/Content replaces Non-Accredited Program – LSUC and Non-Accredited – Other Provider. Both are now based on free form entry. The Law Society’s quick reference guide below will help you in entering their CPD Hours in the LSUC Portal. If you are unable to attend in person, the program will be available shortly on video download and on DVD, with materials in electronic form, by order from the LAOLAW website: Learning Opportunities at www.research.legalaid.on.ca/login.html. You will need your solicitor number to log on to the LAO LAW website. Viewing of this filmed program by 2 or more lawyers and/or paralegals may be counted towards 1.5 hours of substantive CPD.